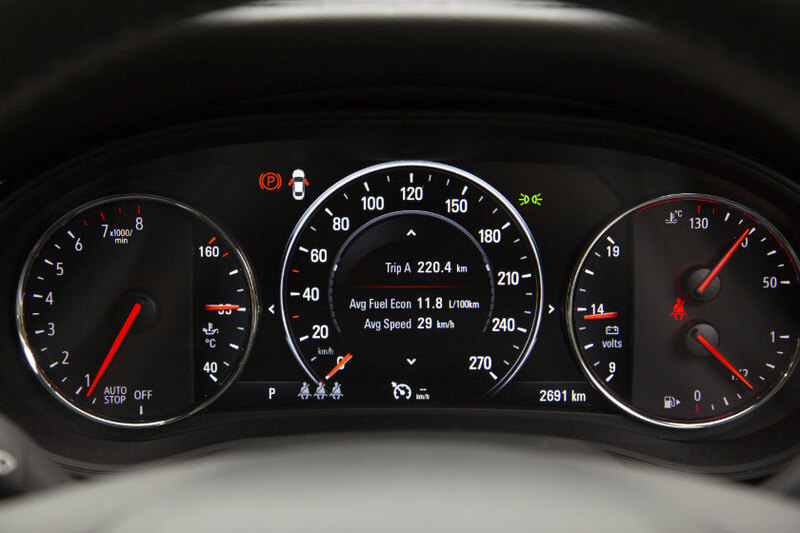 Get quick facts on the Opel Insignia B at Autocade. If the current wave of vehicle is the crossover, and the saloon or sedan is on the way out, then what does that say about those who still buy the traditional car? Possibly that they’re being very sensible, choosing in a segment that’s so competitive that car makers are packing their product full of goodies, or aiming to innovate with variations on the theme. Take the full-size car segment, for instance. Buyers had been deserting it over the years: Holden claims its Colorado ute outsells the Commodore, a model line for which it is best known, with an unbroken lineage over the last 40 years. Ford, meanwhile, undersold its last Falcon through what seemed like intentionally poor marketing, its excellent Ecoboost models barely rating a mention—or sufficient stock levels—at its dealerships. There was only one real move left open to Holden, which at least wanted to carry on with Commodore, and that was to reinvent it. That decision wasn’t a new one, nor did it come with the announcement that Holden would shut its Australian plants in favour of sourcing from other locations owned by its parent, General Motors. 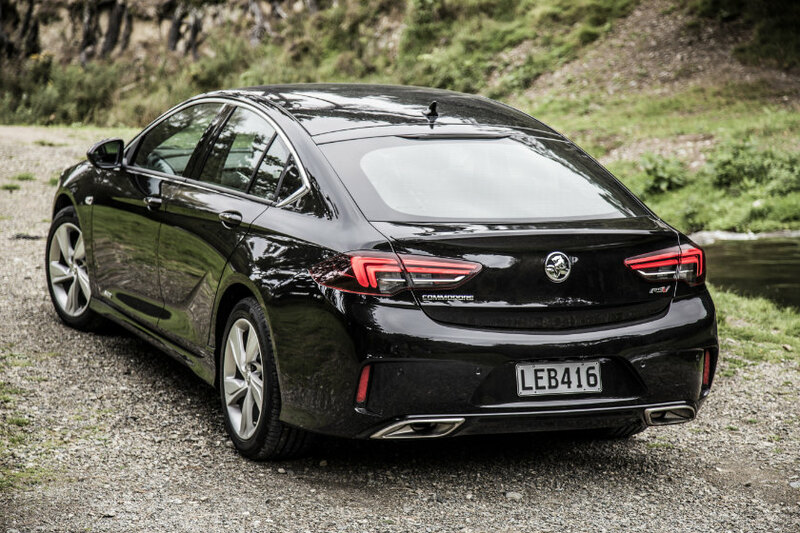 The decision to merge the Holden Commodore in with the Opel Insignia and Buick Regal lines was taken at the beginning of the decade, even when the plans were for manufacture to take place in Australia as well as Germany, Canada and China. And once the tie-up was decided, Commodore became a five-door fastback, bearing a silhouette that was already gaining popularity. A Porsche Panamera it wasn’t, but if such a configuration worked for such hallowed machinery, surely it would work for Commodore? 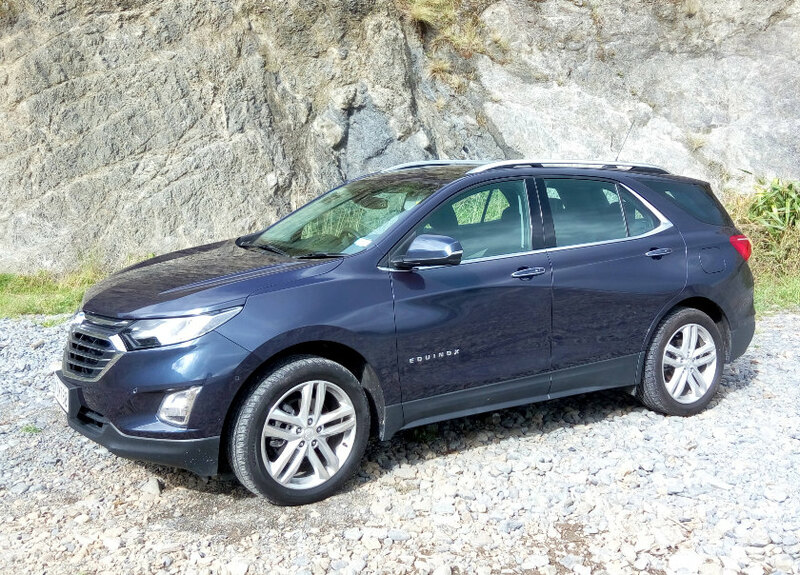 Our full Commodore launch report covering the global market segments is elsewhere, but we were given the opportunity to test a single model for a longer period. While we loved the turbocharged fours, the base powerplant here but the top one in Europe, the chosen Commodore was the RS-V, the four-wheel-drive V6 model that fitted in roughly where the old SV6 did. On paper, Holden has its archrival Ford licked: the Mondeo, similarly a five-door saloon (with the exception of the US-built, rebadged Fusion Hybrid four-door, also ridiculously under-marketed by Ford as it lets Toyota take the hybrid D-segment), doesn’t offer a six in the local line-up, certainly not one delivering 320 PS (235 kW) and 381 Nm. The shape is more slippery, with base Commodores having a Cd of 0,26, a figure once associated with sporty machinery. Now made in Germany, interestingly by a plant now owned by Peugeot, and with a noticeable step up in quality, the Commodore is a better car than its predecessor: it’s a product of the 2010s and not the 2000s, with the newer engineering to suit. The liftback shape shouldn’t be a concern, not even to traditional buyers, since there’s just enough of a three-box silhouette present, as there is on machinery such as the Volvo S60 and the Jaguar XF and XJ. 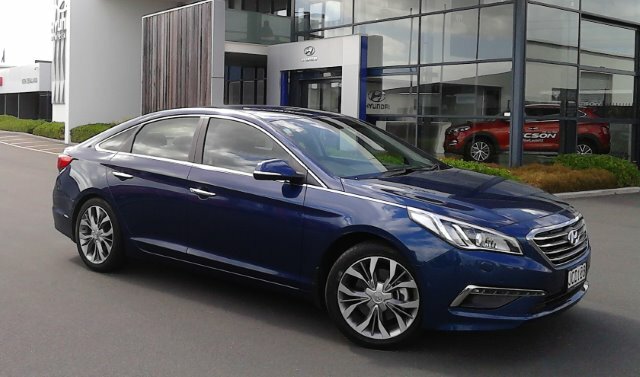 Its now-direct rival, the Hyundai Sonata, almost looks like a hatch without actually being one. Even the previous VF Commodore had a sleek rear window line. To us, it makes sense to offer the added practicality. While some complain that this is against all Holden tradition, remember that the original 1978 Commodore was a shock, too. Besides, the people buying new Commodores are not the ‘bogan crowd’, as one colleague put it, but the same ones who might consider D-segment cars such as the Toyota Camry. The fact they chose Holden is down to a number of factors, not least the knowledge that there has been Australian and New Zealand input into the chassis (and there has been here). 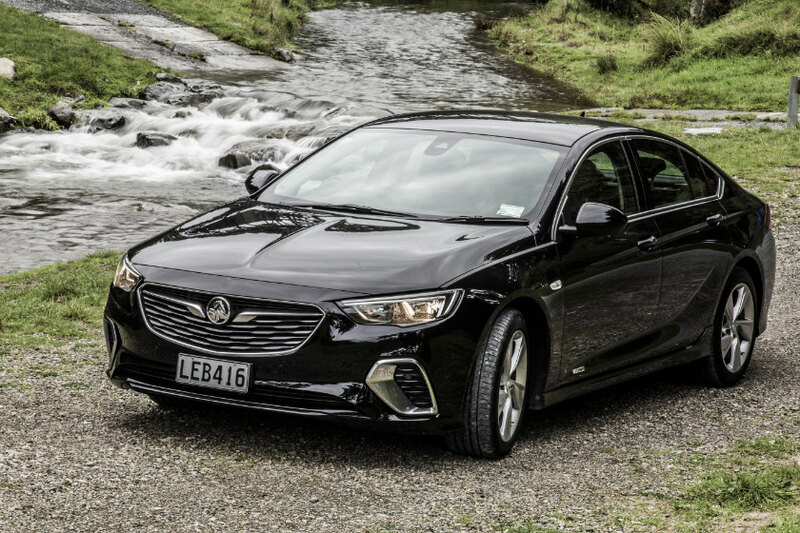 But if you were to get down to some very base reasons, raw power might well be one of them, and on that Holden is arguably right in offering the bigger V6 unit for torque and horsepower lovers. If there is one criticism we can make of the Commodore RS-V’s exterior, it’s that it isn’t sporting enough. SV6 was a butch machine, spoilered and flared, even if it was all for show. 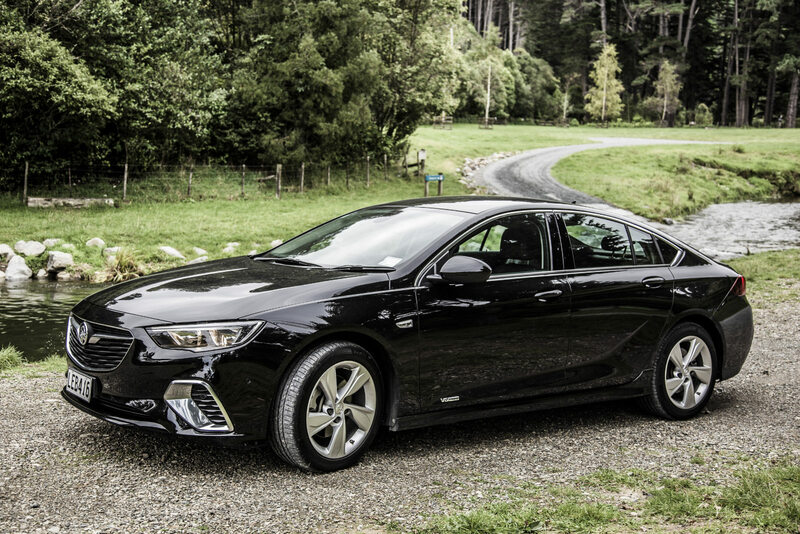 The new Commodore may be based on the more sedate Opel Insignia B, and the front overhang tells you the base models are driven by the front wheels, but we wish that Rüsselsheim saw fit to make the Australian-destined cars more extrovert. This is a market that wants to show off, and the black finish of our test car, rather than the bright reds we had seen on other Commodores at launch events, was too European, too quiet. 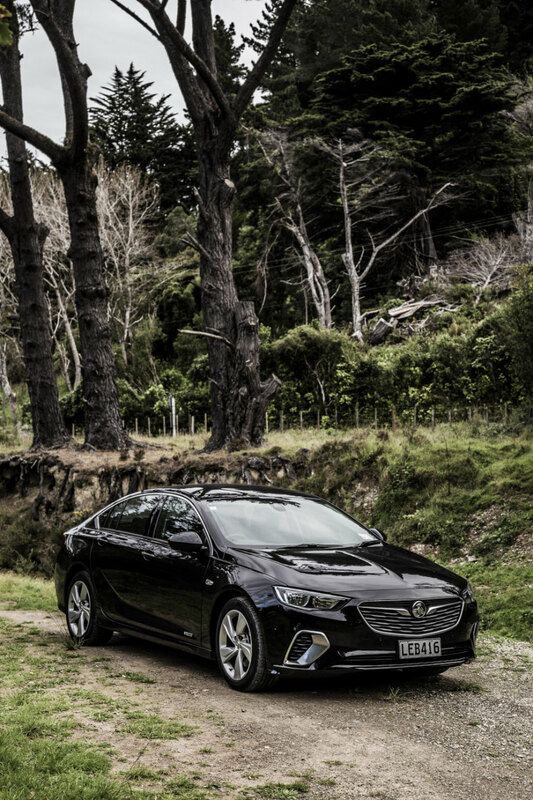 We associate Holden more with an edginess (think Torana A9X or V8 Supercars), but Astra, Equinox and Commodore are playing a quieter game of competence. Maybe Holden now wants the driver experience to speak for itself instead of feeling it needs to brag. But a little bit of bragging never hurts. It’s actually a punchier car than the model it replaces, and deserving of more flashiness. 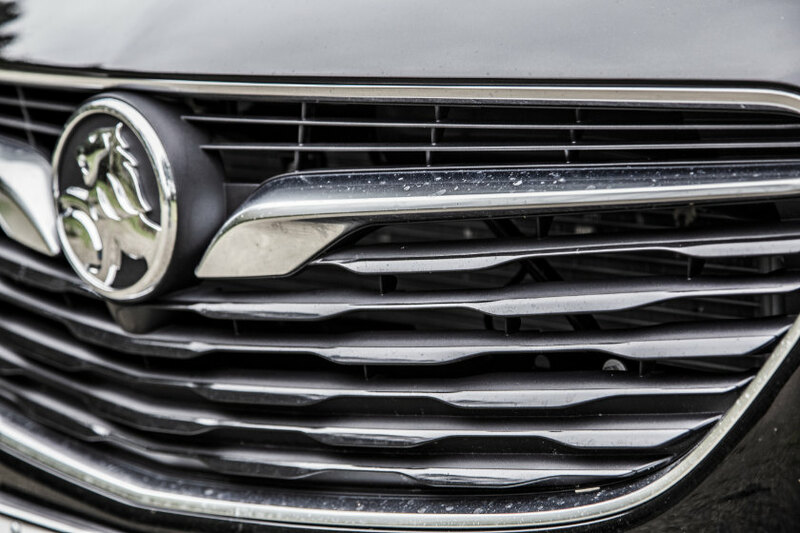 At least the overall shape is more harmonious than the curious curves and creases of Toyota’s new Camry, a refined motor car that can’t always shake its taxi image. Toyota’s design language works on some models, such as the Corolla Sport, but expanded to the larger form of the Camry it isn’t as attractive as GM’s effort. 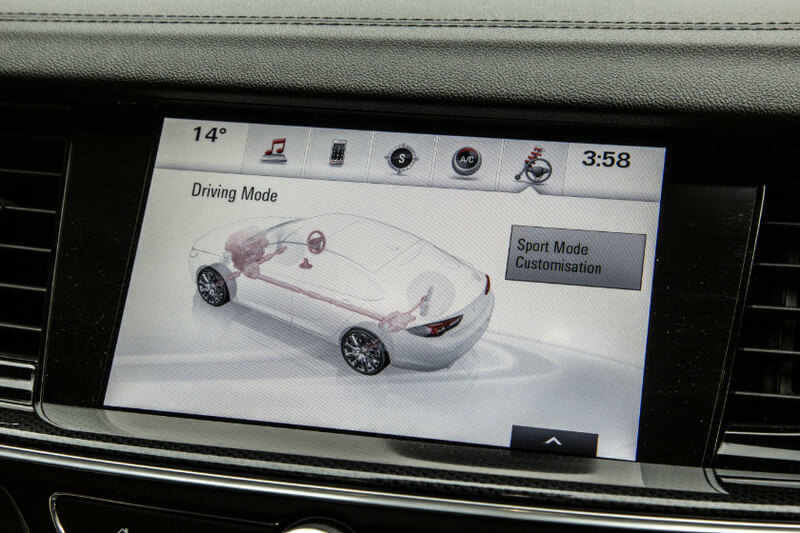 Inside, the new tech becomes more obvious, with a digital dashboard that renders sharply, with configurable displays; it’s complemented by an eight-inch touchscreen in the centre that’s equally visible and practical. We attended a launch recently of a supposedly upmarket German car, where the speakers raved about the smart headlights that could detect when a car was in front and shine its light around the object, so as not to dazzle the other driver: Commodore has this as standard. 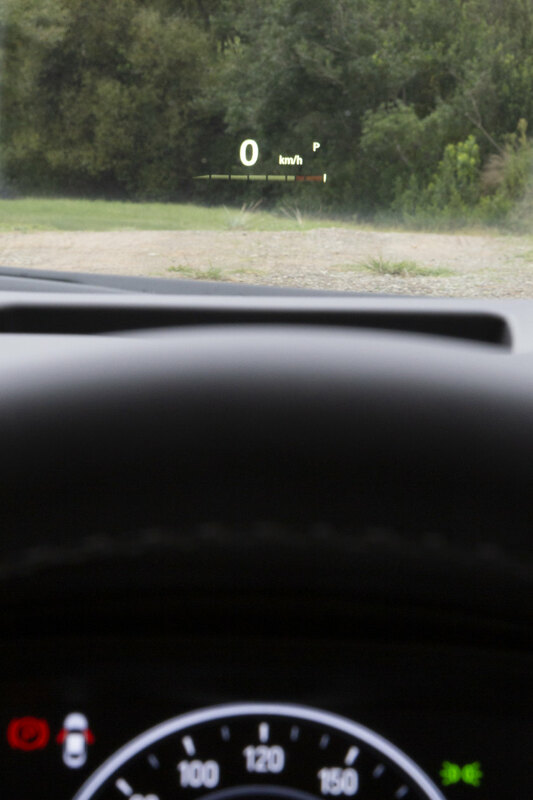 This is where the newer European and US tech helps the case for the Commodore: the features, such as lane-keep assist, head-up display, wireless phone charging, sat-nav, voice control, and digital radio all help with making the driving experience more pleasant. We’re not as convinced by the carbonfibre effect in the interior, but we did like the leather trim and the stitching around the dashboard, which make the Commodore feel far more premium than before. The drilled pedals are a nice touch. On the road, the V6’s roadholding is excellent and the extra power heading down the back helps give the driver a sense of security. For traditionalists, it’s a sense of familiarity, though delivered with far more refinement than the 3·6 of old. It’s a slightly lazier unit than the four, which has greater urgency, so it’s made for towing and cruising, fulfilling the wishes of many a Commodore buyer. Sport mode helps give the steering greater weight, so spirited drivers can get their fill of sporty driving, but it’s still more a cruiser than a chuckable performance car. Our passengers found the RS-V a civilized, stable and safe car, with the body’s rigidity helping with their sense of security and stability. The boot is respectably sized, and the loss in width over VF was only noticeable when we tried to load a large A0 sheet. 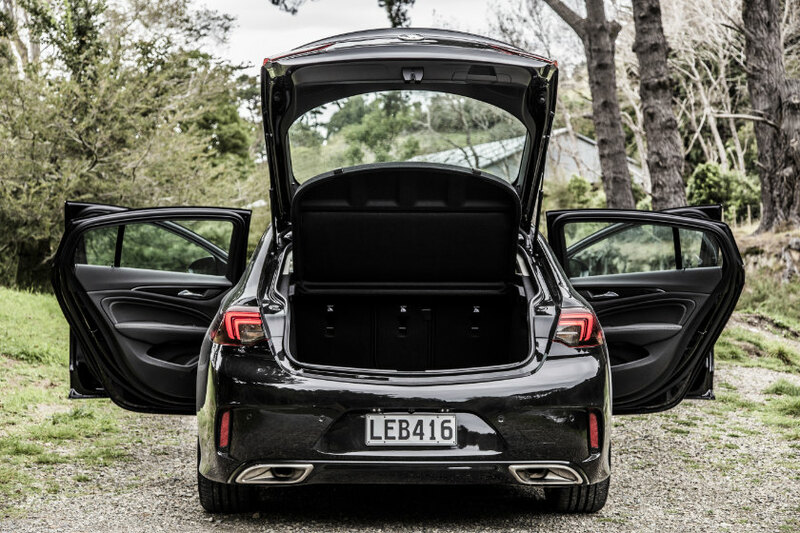 The rear seats needed to be folded, though we’re grateful that the new Commodore is a liftback. In daily use, it’s wide enough, sized between the previous two generations of Commodore, or roughly the size of the last Falcon.